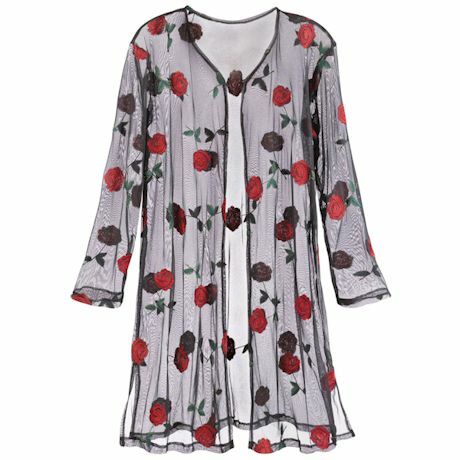 Bright red, beauties scatter around this translucent long-sleeve topper made with a fine mesh-netting; dress for the holidays paired with black pants, dress for "how cool!" when paired with jeans. Polyester. Imported. S(4-6), M(8-10), L(12-14), XL(16-18), XXL(20); 38"L.